If you’ve been aching to put your Mac’s Thunderbolt port, and your savings, to good use, LaCie has just released its 2big Thunderbolt series external drives. You can get the 2big drives at 4TB and 6TB capacities right now for $650 and $800 respectively, though an 8TB drive is also on the way. The drives take advantage of Thunderbolt’s throughput for up to 327MB/s transfer speeds. You can also choose between RAID 0 for performance or RAID 1 for data redundancy and security. The drives feature hot-swappable disks and dual Thunderbolt ports so you can daisy chain multiple drives together. Daisy chaining multiple drives increases the amount of storage available and pushes the overall performance to more than 670MB/s. Obviously the 2big Thunderbolt series would appeal to anyone with high-speed demands and large files, i.e. photographers and videographers, though it’s comforting to see more Thunderbolt accessories finally coming through. 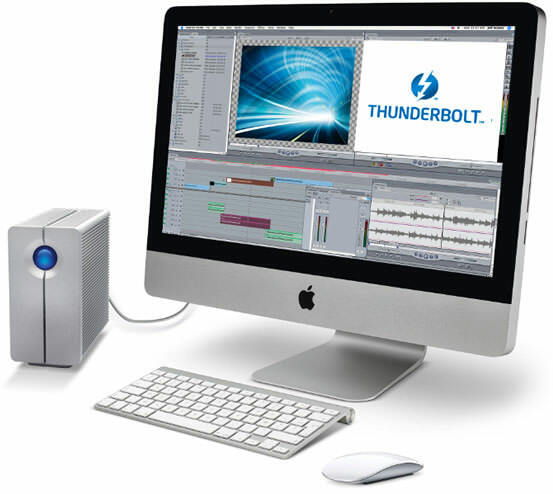 LaCie is excited to announce availability of the 2big Thunderbolt™ Series. With speeds up to 327MB/s, the Thunderbolt interface delivers speeds three times faster than FireWire 800. For data transfer gurus, that means 1TB of data – that’s nearly 235,000 MP3’s, 750 iTunes movies, or more than 450,000 photos* – can be transferred in less than an hour! Furthermore, you can daisy chain multiple 2big Thunderbolt devices to increase overall performance.